Wondering what wine to serve at your Academy Awards party on Sunday? Here's a perfect--and perfectly appropriate--choice: the Director's Collection of wines from the Francis Ford Coppola Winery, owned by the legendary filmaker. The winery knows it's on to a good thing with Awards night, too. 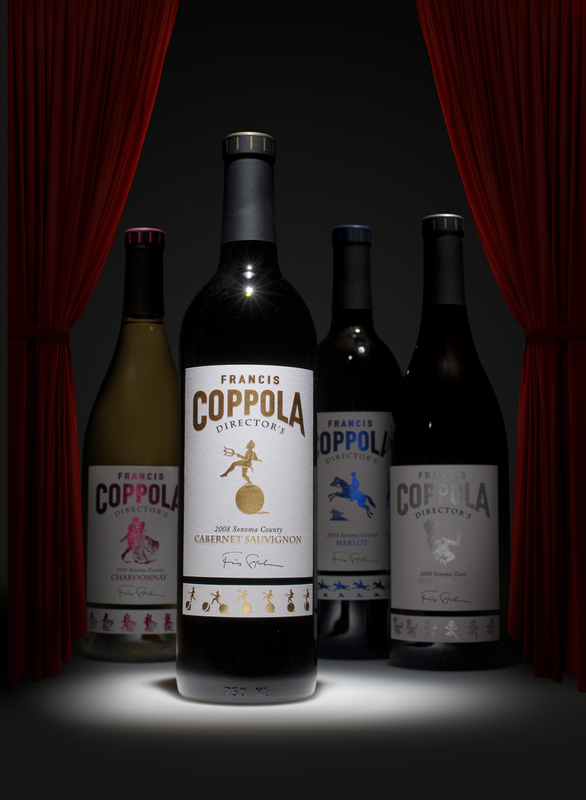 One of the ideas they've had fun dreaming up is a $65 "Oscar Gift Set," which includes one bottle each of the Director's Cabernet Sauvignon and Director's Chardonnay; Fleur de Sel caramel popcorn; black truffle and cheddar popcorn; red wine snaps; white wine snaps; and Francis Coppola Winery chocolate. You can also buy the $80 Director's Four Pack (Director's Cut Pinot Noir 2010, Cabernet Sauvignon 2009, Chardonnay 2009, and Merlot 2008). Or you can buy just one in the cast of Director's Cut characters: Cab Sauv (about $21), Chard ($17), Merlot ($21) or Pinot Noir ($21). And someone at Coppola had a good time coming up with this passage: "The Director's wines are made of grapes carefully sourced from various plots of land throughout the Sonoma Valley. The result is a complex finished production with the style to match the greatest cinematic achievements of the year."